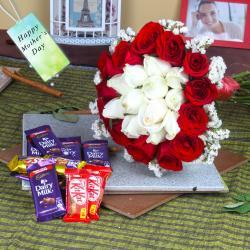 Product Consist : 6 Pink Roses Bouquet along with 10 Bars of Assorted Chocolates. 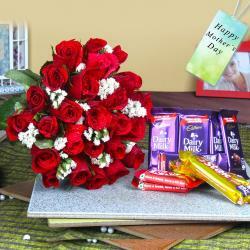 Give your Mother a lovely surprise by sending her spectacular gift hamper from Giftacrossindia.com. Mother's Day is celebrated every year to honor and respect a mother. 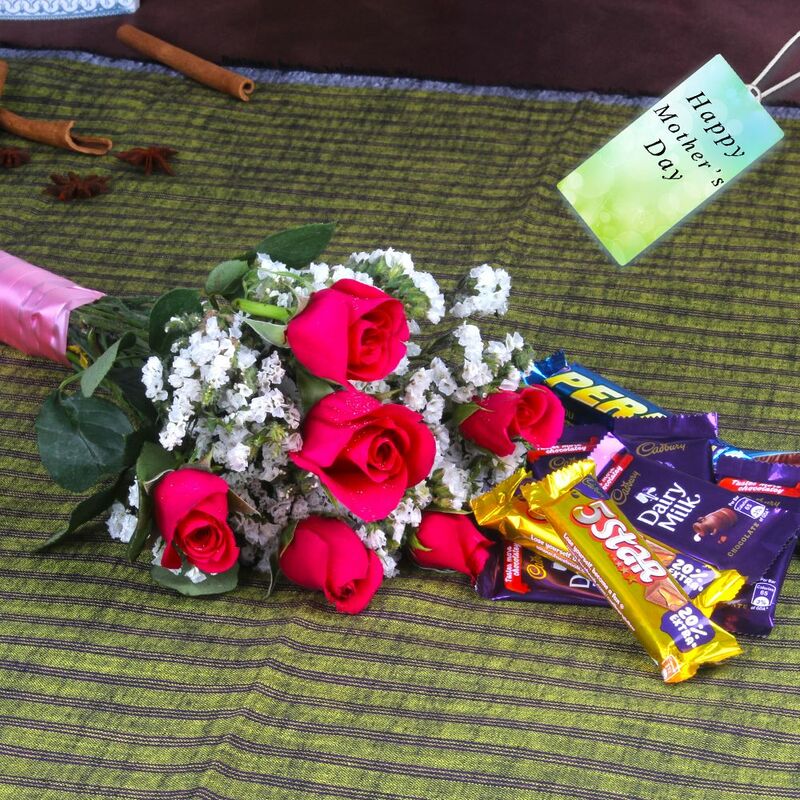 Picked fresh from the farm to offer your special recipient a blushing bouquet with an unforgettable grace so this sweet emotion hamper of Indian Assorted Chocolates and Pink Roses Bouquet to bring a soft beauty straight to their door. Browse your favorite products it is very conveniently available for online shopping from anywhere in India with Same Day Delivery option. 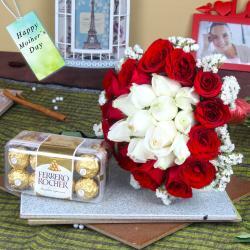 So go on and place your order now to show her how much she is important to you. 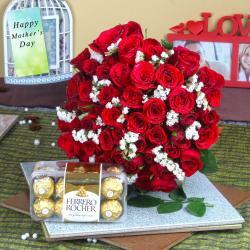 Product Includes: 6 Pink Roses Bouquet along with 10 Bars of Assorted Chocolates.